I have learned in email that two people who took my advice in my first two posts (Some Basic Tips on Job Interviews and Some Basic Tips on Job Interviews Part II) were able to get employed in the field from which they had been laid off. I was extremely gratified to learn this. Basically, I gave some "old school" ideas on how to get employed even in a tough economy. I'm not saying it will help you. But, I feel there are people who can take the approach I talked about to gain employment. As I said, in the previous two posts, I was an assistant superintendent of a regional industrial controls company for five years prior to my going into the federal service. My main purpose, in that position, was to hire people. So, if someone I hired turned out to be a dud, they knew who to blame. I was not fond of the job for that reason alone. I did the interviews and made the final hiring decisions on all white collar and blue collar positions. Today, I'm going to talk more about the interview process. I'll also give you an inkling what that interviewer may be thinking when you are in that interview room. During my five years of hiring people, I went through thousands of resumes and job applications. I learned one thing in those five years; the flashier the resume, the least likely that person would fit the criteria of what I was looking for to fill that position. It just seemed that way for some reason. Now, that was not always the case, of course. But, here is something to remember...keep it simple. I didn't have time to go through a five to ten page resume. There were literally dozens (if not hundreds) of people applying for a particular job. Now, our HR department was outstanding. But, on some highly technical positions, they were of no use to me. I had to go through the resumes myself. Just remember this when you start to send out another resume. If you came through the door and saw someone else in the interview room, other than me, that was a good sign for the job applicant. I doubt they knew it. The reason for that is because I had a strong belief this person was someone that could help us. Rather than reschedule them for another appointment with HR, I had the HR department head present. As bad as you want a job, a job interviewer wants to hire you even worse...as long as you fit his or her criteria. You see, that job interviewer has a job to do also. He has to get the right personnel in place to fill positions for the company. Believe it or not, he is a bit nervous also. Just not for the same reason you are, the job applicant. 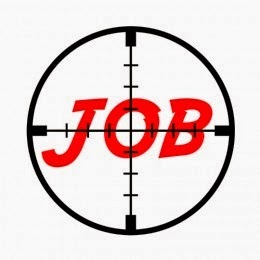 The job interviewer is always being evaluated on how well he or she is doing their job. So, they have to get it right. If they screw up and hire the wrong type of person, that is money spent on someone that has gone down the drain. I was told they (the company I worked for) didn't expect me to be perfect on each hire. But, just don't make a habit of hiring the wrong people on a consistent basis. If that happened, I would quickly go from a job interviewer to a job interviewee. Lots of pressure in this type of position. Now, some more "don'ts" when you go into the job interview room. My secretary would let me know when people would call to inquire about the job or jobs we had available. Most of the time the calls were about if I was male or female. They would then ask for my name. I never had a problem with that. One thing for the ladies; while I am a great admirer of the female form, showing lots of leg or cleavage didn't work for me in the interview. Sure, that works with some men who really don't care about their job. They don't usually last very long. Don't smoke in the interview room. Now, it may be that the interviewer is a smoker. I do believe it is now a federal law prohibiting that during any job interview process. I could be wrong about that. So, correct me if I am wrong. Anyway, even if the interviewer offers you a cigarette (and you are a smoker) turn it down. Today it could be their way of testing if you are a smoker. Like it or not, smokers are discriminated against. I'm not taking a position on that either way. But, it was done back when I was interviewing. I suspect it is being done today also. Don't appear meek and timid. Speak with a strong, clear voice to the interviewer. Sometimes I had to ask people several times to speak up! Don't make any sexual innuendos during the interview. My secretary was what one would call "hot" using today's nomenclature. Several men who came into the interview room would make note of that with some rather crude language. They were usually toast from that point on in the interview. I would not tolerate sexual harassment, nor would anyone else in the company. The following I never had to experience since it was before my time. Don't bring your cell phone into the interview room. If you forgot to turn it down or off, you have just mortally wounded yourself. Don't smile all the time like you are a cheshire cat during the interview. Sure, it's good to convey you are nice and friendly. But, smiling like you are happy you are unemployed or underemployed makes one wonder. Do bring paper (preferably a small notebook) and pen. If the interviewer gives specific information about the job and what he expects, it would do you well to remember them in a second interview. It also shows how much the job means to you. Do use proper language. Avoid, hmmmmm...well, aaah.....like man....you see what I'm saying? No, I don't see what you are saying! Do arrive on time for the interview. A good rule of thumb is to always be there 10-15 minutes early. Whenever I was scheduled for a job interview, I would arrive 15 minutes early in case I had to fill out any paperwork. If the interviewer says something you didn't understand, do ask him or her to clarify what they just said. For example, I asked a man applying for a high-level security job if he had an arrest record. I remember he looked confused and then said, "Yes, I do!" Clearly, he didn't understand me. Finally, do sit still in your chair. Turning and twisting in the chair is distracting to the interviewer. This happened more often than you would believe. Frequently I would ask if they were alright, if they needed another chair. Most would just stammer to say, "No,I am ok." One more do...at the end of the interview, most interviewers ask you if you have any questions. DO ask questions at that time. Even if you make crap up, ask questions! During the interview, you are being evaluated. I bet you already knew that. The interviewer is trying to determine if you will fit in with the company. It is up to you to make him think you are qualified for the job. You literally and figuratively need to put your best foot forward during the interview. The interviewer is on the spot. He needs to fill positions quickly as feasible. Jobs not filled hurt company productivity. Unfilled positions also hurt the bottom line. So, the interviewer is under pressure just as you are. As I stated previously, it is just a different type of pressure. You both are under the gun in that interview. You need a job. The interviewer needs to fill that job. He's thinking that he has X number of days to fill the position. If he can't, the company will find someone who will. So, remember that when you go into the interview room. You need to think you are not alone when it comes to pressure during the course of an interview. Job interviews are always stressful. There is no hiding that fact. It is just something you have to accept. But, by reading all three parts of this job interview series, it will help you possibly get the job you want. You can use The search engines. com, where almost all you should do to try and do can be key in 'law enforcement jobs in usa and will also be demonstrated the outcome involving websites that provide associated results.